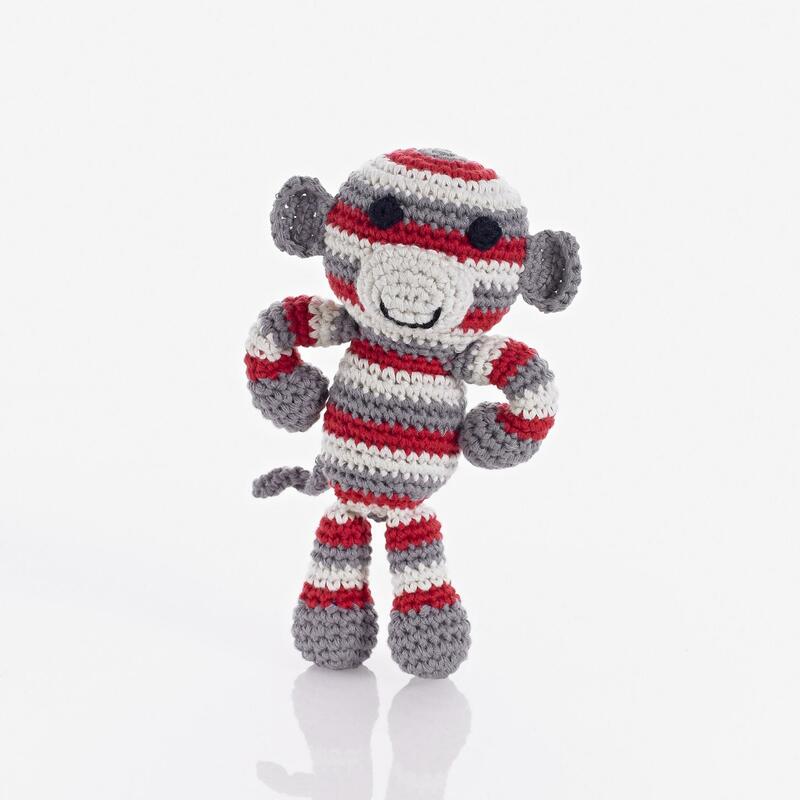 Your baby will love monkeying around with our loveable red, cream and grey cotton crochet Monkey baby rattle. He makes the perfect cute friend for baby. This would make a great gift for fans of the Jungle Book story. Fair trade, handmade from 100% cotton yarn. Suitable from birth. Machine washable.